In this new Halloween-themed ad for Reese's Peanut Butter Cups the Headless Horseman tries feeding Pumpkin Head a Reese's treat, and it ends badly, with a snuffed-out fire, and a meaner-than-usual Jack-o'-Lantern face. PUMPKIN: Pardon me. Would you be so kind as to help me out here? HORSEMAN: Having a bit of a struggle? PUMPKIN: Oh, for crying out loud. Yes, yes, by all means, take your time. Tick tock, tick tock. Like I've nothing better to do. Ah, so very nice of you to join me. Now would you be a dear and unwrap one of these for me? Uh, a little to the left. Left. No, my left. Rather our left. Sorry. There you are. Very good, very good. Now be gentle, gentle. Excellent, excellent. Now just pop that into my mouth and we'll be all set. Oh, come on! VOICEOVER: Reese's Peanut Butter Cups make it a perfect Halloween. 1. Note the two very polite formal expressions. 'Pardon me', which is used to attract someone's attention, and 'Would you be so kind as to ...", which is used to make a request. 2. 'For crying out loud' is an expression used to express frustration, exasperation, or annoyance: Oh! For crying out loud, get off the computer! You've been on there for ages! The cartoon by Dave Granlund from The Cagle Post shows a butcher reading the story about processed meat causing cancer. He has an angry look on his face and says just one word: "Baloney!" The cartoon plays on the double meaning of 'baloney'. The word baloney comes from the sandwich meat called bologna, which is typically made of leftover scraps of meat. The inexpensive deli meat is often pronounced and spelled "baloney". • I'm going to have a baloney sandwich for lunch. Around 1920 in America, however, baloney came to mean "nonsense". • Don't believe all of that baloney! See this article for more information. This is an easier Halloween crossword than the one I did a couple of years ago, and should be more suitable for lower-level learners. Click on the grid below to access an interactive online version, and click here to download a PDF version (with solution). The cartoon by Schrank from The Independent references the song "A Spoonful of Sugar" from the 1964 musical "Mary Poppins". The original lyric goes "Just a spoonful of sugar helps the medicine go down", but in Schrank's cartoon Mary Poppins is telling her overweight charges that "It's time to cut out that spoonful of sugar, children" (one supposes because she's having difficulty lifting them up). Meanwhile, David Cameron appears at the top of Big Ben to admonish her, "Tut, tut, no nannying!" The reference to "nannying" is a play on words. Mary Poppins is a nanny, so her activity is nannying, but Cameron uses the term in the figurative sense. If you "nanny" someone, you are overprotective towards them. And the expression "nanny state" describes a government that is regarded as overprotective or as interfering unduly with personal choice (a charge Cameron seems keen to avoid). • Sydney has become so bogged down by "nanny state" rules that people can break the law up to 10 times a day, without realising. Tut tut is an exclamation used to express disapproval or annoyance. It can also be used as a verb. • Aunt Mary tut-tutted at all the goings-on. All Ears English is an English as a Second Language (ESL) podcast for intermediate to advanced English learners around the world. Teachers Lindsay McMahon and Michelle Kaplan will show you how to use everyday English vocabulary and natural idioms, expressions, and phrasal verbs and how to make small talk in American English. You'll also get special tips on American culture, customs, etiquette, and how to speak with Americans as well as conversation and commentary on study tips, business English, life in America and Boston and New York, how to apply to university in the US, dating, travel, food and more. You'll get TOEFL, IELTS, and TOEIC help also from The Examiner of Excellence, Jessica Beck. This podcast is for adult students who are professionals and university students as well as ESL teachers. It's been a while since I featured a podcast and I should really have mentioned this one before as it's one of the best (14+ million downloads must mean something!) There are over 400 episodes in the archives, so that should keep even the most dedicated English learner going for a while! 2. Download the free '100 Most Common English Phrases' PDF. The cartoon by Peter Brookes from The Times shows a waving Xi Jinping and his wife boarding their plane at the end of their UK state visit. However, instead of using the usual passenger stairs, they are walking up the backs of (from left to right) David Cameron, George Osborne, Prince Philip, and the Queen. The message of the cartoon seems to be that Xi Jinping has "walked all over" the British establishment, who have "kowtowed" to him. Meanwhile, questions on human rights and the dumping of Chinese steel have been swept under the carpet in order not to offend Britain's new "best partner". Kowtow, which is borrowed from kau tau in Cantonese (koutou in Mandarin Chinese), is the act of deep respect shown by prostration, that is, kneeling and bowing so low as to have one's head touching the ground. In the metaphorical sense, it means to act in an excessively subservient manner. • It's no use kowtowing to the boss, he'll see right through you. Kowtow rhymes with 'now now'. KidsHealth is a website create by Nemours, a nonprofit children’s health organization. There are three sections in the site for Parents, Teens, and Kids. As is often the case, it's the part aimed at kids which is the most useful for learners of English. There are descriptions of all the main health problems and illnesses as well as some really useful resources including quizzes, movies, and a very complete medical dictionary. I've been studying the topic of health recently with my EM Normandie students, and this site has proved to be an excellent source of information, as well as providing plenty of reading and listening material at an accessible level. One useful extra is the option to hear the articles read aloud — unfortunately, it's a synthetic voice not a human one, but the quality is quite good. Oprah Winfrey is such a fan of Weight Watchers that she has just bought 10% of the company. “I believe in the program so much I decided to invest in the company and partner in its evolution,” the talkshow host turned billionaire businesswoman said on Monday as she announced the deal, which includes personal endorsements and a seat for her on the company’s board. The cartoon by Kipper Williams from The Guardian shows Oprah standing on a weighing scale. She has a sackful of money slung over her shoulder (representing the profit she made by investing in Weight Watchers). However, the combined weight of Oprah and all that money has broken the scale! 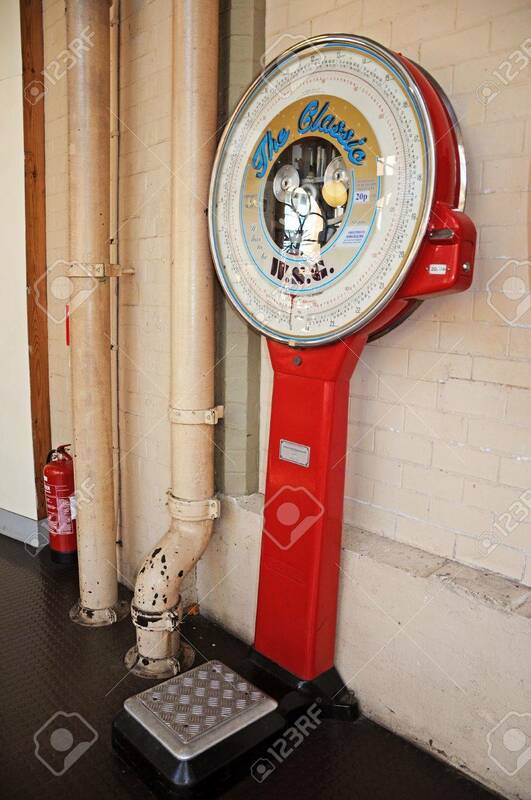 I remember the time when you could find public scales into which you had to insert a coin to weigh yourself. That was before everyone had personal scales at home. Although the word scale can be used to describe an instrument for weighing, the plural form scales is more common (sometimes as part of a pair of scales or a set of scales). This is because scales were originally simple balances (literally pairs of scales). So even though they are now usually devices with an electronic display showing the weight, we still refer to them as scales. I've written about the excellent Off2Class online ESL teaching resource site before, and even interviewed one of its founders. Well, I'm pleased to report that Off2Class has just released two Interactive ESL Games. Quiz Game is based on a Who Wants to be a Millionaire format. Students are guided through a series of ESL Quiz questions that get progressively harder. The student also has three lifelines to help them during the Quiz. There are Quiz sets covering Verb Tenses, Idioms and Prepositions with plans to add more. Game Show is based on a Jeopardy format. You can create your own boards by selecting 4 ESL categories to play or you can choose to play a randomly selected board. Students choose questions to tackle and the teacher is designated as the officiator to decide whether an answer meets the criteria. The games are designed to be played by a single student or by two students or teams playing against each other. An added bonus is that both games come with a game creator where you can make your own sets, and are free to use for all Off2Class account holders. You can sign up for a free account here. I plan to use the Game Show in class, projecting it onto a big screen with a video projector. That should be fun! Chris Harrison Explains Why He Decided to Host "Who Want's to Be a Millionaire"